John Rigney joined Team In Training (TNT) for one reason: He wanted to run a marathon. But once he met the amazing group of people who dedicate themselves to helping find a cure for blood cancers, he was hooked. 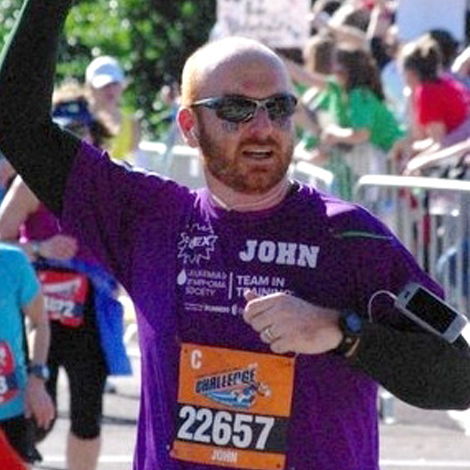 Since joining TNT, John's completed numerous running events and has been a participant, mentor, captain and coach. He's also raised over $17,000 for The Leukemia & Lymphoma Society (LLS) to help fight blood cancers?and helped others raise thousands more. Says John, "The most special title I have earned with TNT is 'Hero.' That's the title every TNT participant earns when they set out on their journey."